here's the eye makeup i wore on my most recent Good Day Colorado appearance. i think a common mistake people make is that when they are going to a fancy event or getting their photo taken, they over-do the eye makeup going for dramatic. often i find that the chicest eye makeup is usually the simplest, so i created this step by step eye makeup tutorial to demonstrate. while i claim simplicity i was on tv, so i had to make it a little bit heavier than normal (false eyelashes typically not required for this look). 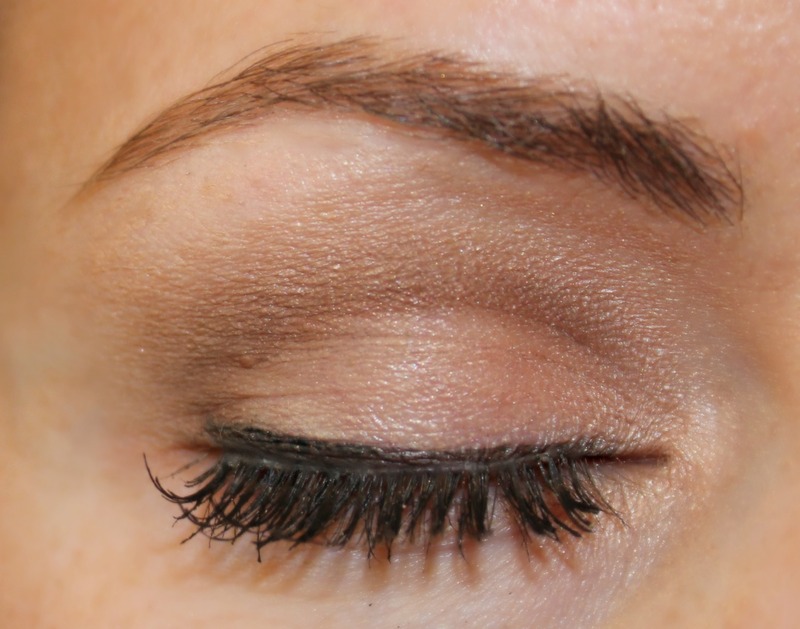 this makeup style gives a smokey edge while keeping your eyes bright for daytime. since i have had several requests for different angles of the look, specifically what it looks like with my eyes open, i added some additional shots. let me know if that helps or not. apply medium brown shade to crease. apply with a fluffy brush so that color is diffused. 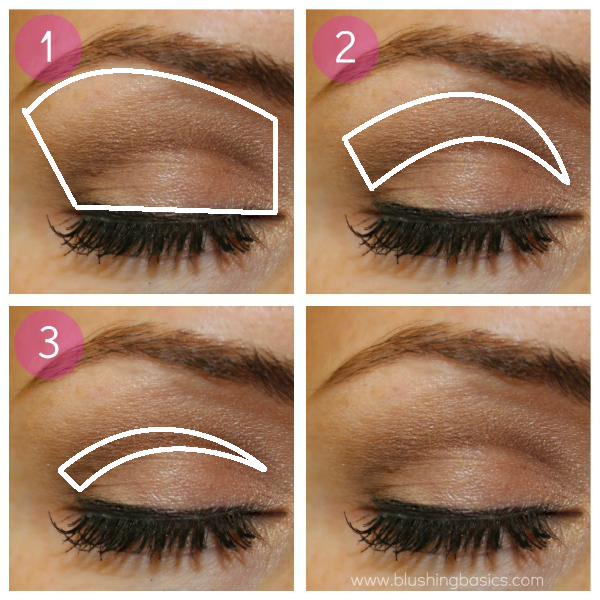 apply dark brown color to crease in a thin line. use a pencil brush to apply so that color is directly applied. simple and natural looking- love it! Thanks too for posting pictures showing the look from different angles. Love it! I adore your tutorials. They have taught me that for my eyes less is more :) And the pictures are very useful. Look forward to seeing more! Love how simple and easy your tutorial is! This is pretty much my everyday go-to look. I like to use Urban Decay YDK shadow on the lid (it's the best shimmer shadow ever). And sorry you didn't win beauty blogger of the year. I checked out the winner's blog, and yours is about 1000 times better. Keep up the good work! I use many of your tips! I love this easy but pretty look!